She stands at 19 inches to the head and 23 1/2 to the top of the ears. 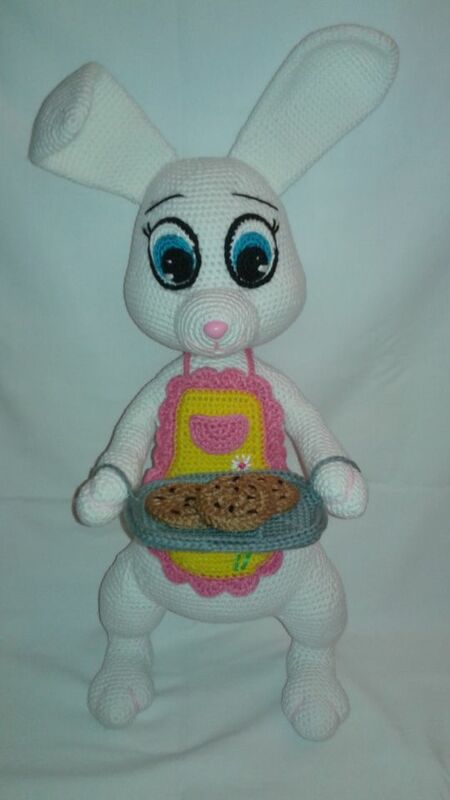 Apron is removable and so is the tray and cookies. She is ready to greet you with her baked chocolate chip cookies.